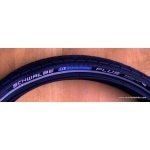 The Schwalbe website says that "Punctures are a memory" and that has been our experience with these tyres. 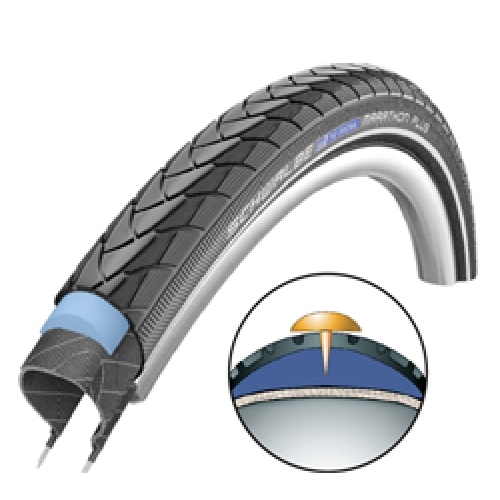 The Marathon Plus bicycle tyre has unequalled puncture resistance, yet still rolls better than many tyres including the classic Marathon. 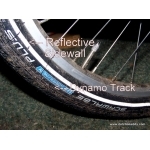 We've fitted them to our own town bikes and also to the bikes that we hire to cycling holiday customers. They also have applications on higher performance bikes. In the winter or for touring, I use these tyres on my Mango velomobile, as repairing punctures in cold and wet conditions isn't fun, and with the Marathon Plus tyres I've never had a puncture. 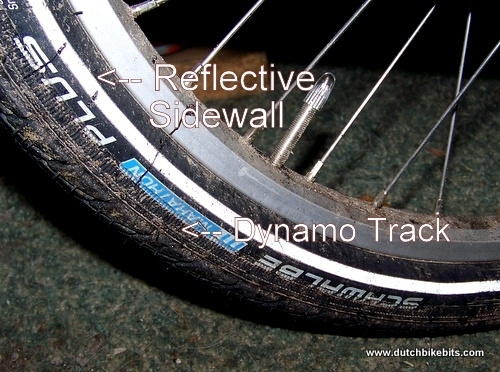 The only real drawback of the Marathon Plus is that the ride is a little harsh compared with the Normal Marathon in the same width. 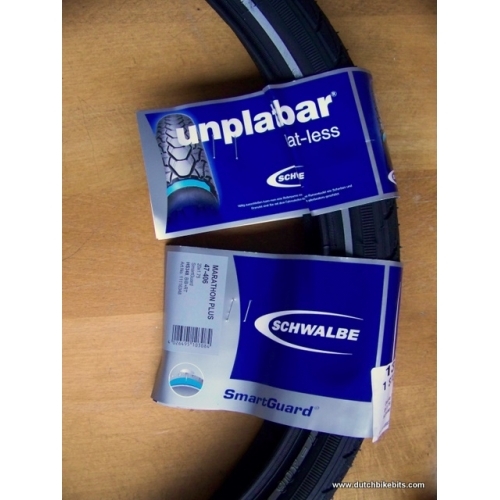 It's also available in fewer sizes so if the size you want is not shown here, try the Schwalbe Marathon instead. 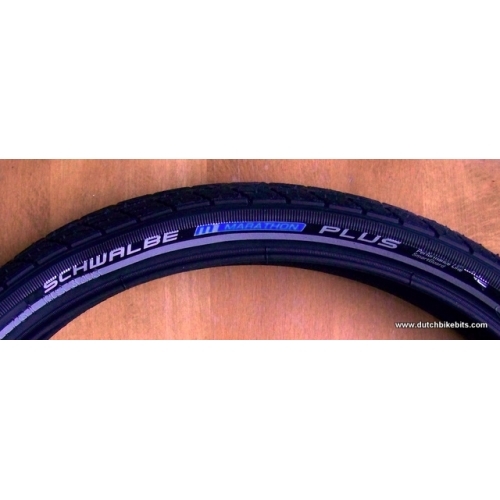 The Schwalbe Marathon Plus has both a reflective sidewall for safety and a dynamo track to optimise working with a dynamo lighting system. 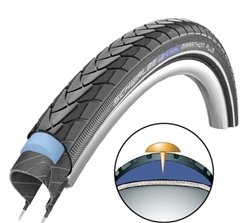 The 37-622 size is ideal for most Dutch style town bikes and tourers.